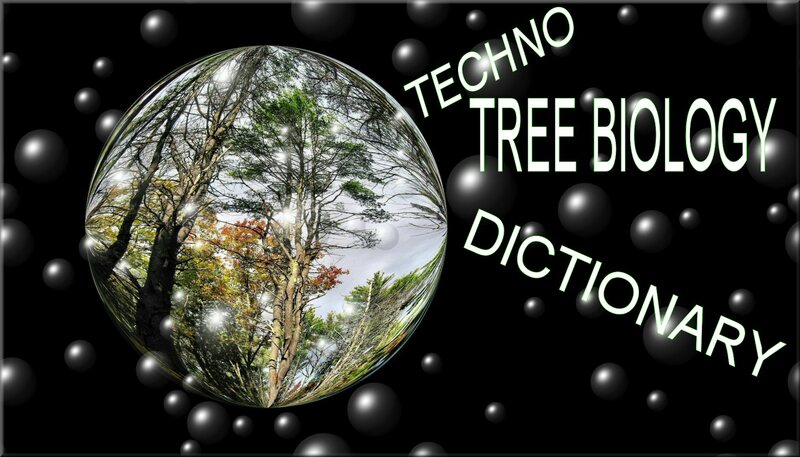 Tree Biology "Educational & Training Workshops"
SAVE $$$$$$$$$ Identify Problems Early. INTRODUCTION - Brief essential information. Some words about words by SHIGO 2002 CD's. Note about use of pictures on this site. 1. VALUE OF TREES - Not in books or schools. With exception New Hampshire where TREE BASICS by DR ALEX L. SHIGO is in every school. 2. For the BOONITES. Those men and women who attended formal New Tree Biology Workshops in Boone, NC USA. 3. Treekissers - Past confidential information. First reported in my CCIL website. Now with updated correct information. 2. Articles published by Dr. Shigo published in TCI. 5. Tree Biology Notebook - by Richard Murray, Arborist. Written by a long time advanced student of Dr. Shigo. I, John A. Keslick, Jr. attended more New Tree Biology Workshops with Dr. Shigo then most people. I do not remember many workshops that Richard was not there dissecting trees. His book is well written with clearly defined terms. The book is available through his website. 6. Consulting Tree Biologist - Myself, John A. Keslick, Jr. I offer a consulting service based on tree biology. We offer free high risk of hazard consulting in our area. We also service outside our area, however, we ask that travel expenses be paid. 1. Click here for hard to get documents! Well worth reading. 3. Unique Features of some trees. I am building this section up. 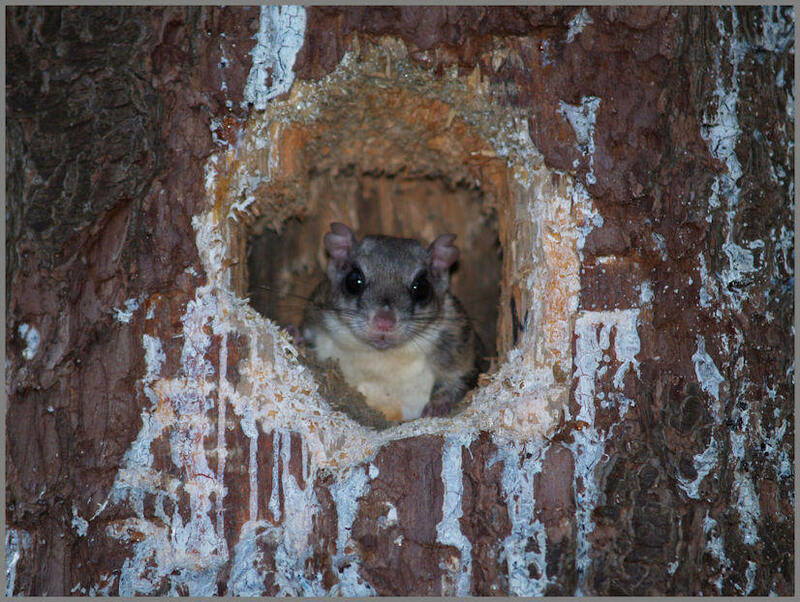 Above: Flying squirrel in a condo (Eastern White Pine). A wound started the CODIT process and carpenter ants respected boundaries and built galleries. Thus controlling the environment inside the tree, to the disadvantage of the decay fungi. A Pileated Wood Pecker created the cavities going after the ants. Now a family of flying squirrels have moved in. For more see "carpenter ants" and follow the link at the bottom on white pine and ants story. A forest containing Redwood Trees.